. Gul Ö, Somunkiran A, Yucel O, Demirci F, Ozdemir I. The effect of ethinyl estradiol–cyproterone acetate treatment on homocysteine levels in women with polycystic ovary syndrome. 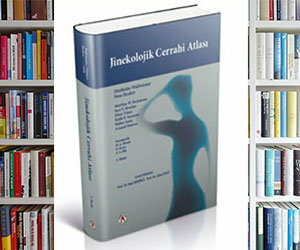 Arch Gynecol Obstet .2007 (in press). Somunkıran A, Gul B, Ozdemir I, Demirci F, Yucel O. The effect of ethinyl estradiol–cyproterone acetate treatment on homocysteine levels in women with polycystic ovary syndrome. Fertil Steril 2007; 20;56:61-8. Öztürk A, Demirci F, Yavuz T, Yıldız S, Değirmenci Y, Döşoğlu M, Avşar Y. Antenatal and delivery risk factors and prevalence of cerebral palsy in Duzce (Turkey). Brain Devolopment. 2007;29:39-42. Demirci F, Ozdemir I, Somunkiran A, Topuz S, Iyibozkurt C, Doyran G, Gul O, Gul B. Perioperative complications in abdominal sacrocolpopexy and vaginal sacrospinous ligament fixation procedures. Int urogynecol J. 2007;18:257-261. Somunkiran A, Erel CT, Demirci F. The effect of tibolone versus 17β-estradiol on climacteric symptoms in women with surgical menopause: a randomized cross-over study. Maturitas. 2007; 20;56:61-8. Ozdemir I, Demirci F, Ultrasonographic cervical length measurement at 10-14 and 20-24 weeks gestation and the risk of preterm delivery Eu J Ob Gyn Rep Biol 2007 ;130:176-9. Somunkiran A, Yazici B, Demirci F, Erdogmus E , Ozdemir I. Effects of tibolone on blood flow resistance and Intima-Media Thickness of the carotid arteries. Climacteric 2006 Feb;9:59-65. Ozdemir I, Ustundag N, Duran B, Demirci FEffect of clomiphene citrate on ovarian, endometrial, and cervical histologies in a rat model. Gynecol Obstet Invest. 2005;60(4):181-5. Ozdemir, I., F. Demirci, O. Yucel. Transperineal versus transvaginal ultrasonographic evaluation of the cervix at each trimester in normal pregnant women. Aust N Z J Obstet Gynaecol 2005; 45: 191-194. Ozdemir I, Demirci F, Sımsek E. A case of primary Addison’s disease with hyperemesis gravidarum and successful pregnancy. Eur J Obstet Gynecol Reprod Biol. 2004;15: 100-2. Ozdemir I, Demirci F, Yucel O, Demirci E, Alper M. Pure ovarian choriocarcinoma: a difficult diagnosis of unusual tumor presenting with acute abdomen in a 13-year-old girl. Acta Obstet Gynecol Scand. 2004 ; 83:504-5. Ozdemir I, Pehlivan M, Demirci F, Gastric cancer in pregnancy. Int J Gyenecol Obstet. 2003;82:207-8. Ozdemir I, Demirci F, Yucel O, Alper M. Primary omental pregnancy presenting with hemorrhagic shock. Gynecol Obstet Invest. 2003;55(2):116-8. Demirci F, Yıldırım U, Demirci E, Ayas S, Arioglu P, Kuyumcuoglu U. Ten years results of Marshall Marchetti Krantz and anterior colporraphy procedures. Aust NZ J Obstet Gynaecol. 2002;42 . Demirci F, Yucel O, Eren S, Alkan A, Demirci E, Yıldırım U. Longterm results of Burch colposuspension. Gynecol Obstet Invest. 2001;51: 243-247. Demirci F, Ozden S, Alpay Z, Demirci ET, Ayas S. The effects of vaginal delivery and cesarean section on bladder neck mobility and genuine stress urinary incontinence. Int Urogynecol J. 2001;12: 129-133. Ozden S, Demirci F. Significance for fetal outcome of poor prognostic features in fetal heart rate traces with variable declerations. Arch Gynecol Obstet. 1999; 262:141-149. Demirci F, Ozden S, Alpay Z, Demirci E. The effects of abdominal hysterectomy on bladder neck and urinary incontinence. Aust NZ J Obstet Gynaecol. 1999; 39:239-241. Ozden S, Demirci F, Fıçıcıoğlu C, Gelincik M. Predictive value of transvaginal ultrasonography for determining the response to tocolytic therapy in cases with preterm labour. J Obstet Gynaecol. 1999; 19:265-270. Demirci F, Kuyumcuoğlu U, Uludoğan M, Görgen H, Şahinoğlu Z, Delikara N. Evaluation of urethrovesical junction mobility by perineal ultrasonography in stress urinary incontinence. J Pak Med Assoc. 1996; 27:2-5. Demirci F, Kuyumcuoğlu U, Eren S, Kekovalı M, Sofuoğlu K, Kolankaya A. Comparison of preoperative and postoperative urethrovesical junction mobility in cases that were operated with anterior colporraphy and Burch techniques. It J Gynaecol Obstet.1996; 8:59-66. Demirci F, Kuyumcuoğlu U, Api M, Uludoğan M. Longitudinal vaginal septum: An unusual cause of postpartum total uterine prolapsus. J Pak Med Assoc.1995; 45: 225. Demirci F, Kuyumcuoğlu U, Kekovalı M, Ergenekon E, Eren S, Uludoğan M, Sofuoğlu K. Perineal ultrasonography in postoperative assessment of two different surgical procedures for stress urinary incontinence. Int Urol Nephrol. 1995; 27: 279-87. Demirci F, Kuyumcuoğlu U, Sofuoğlu K, Eren S . Endometrioid Carcinoma of the Ovary: An Unusual tumour in Young Females. A case report. J Pak Med Assoc.1994; 44:267. Somunkıran A, Yazici B, Demirci F, Yucel O. Effects of tibolone on blood flow resistance and Intima-Media Thickness of the carotid arteries. 21st Annual Meeting of the European Society of Human Reproduction and Embryology (ESHRE), Copenhagen, Denmark, June 19–22, 2005. Özdemir İ, Ustundag N, Guven A, Duran B, Demirci F. Klomifen sitratın over folikülleri ve endometrium üzerine etkileri: Rat çalışması. 1st International Congress on Reproductive Medicine, P33, Istanbul, 2004. Demirci F, Yucel O. Comparison of free rectus fascial sling and Burch colposuspension procedures in type I and type II genuine stress incontinence. XXV. International Urogynecology Congress. October 23-25. 2000. Roma. ITALY . Yucel N, Demirci F, Arıkan Y, Günal Ö. Laparoscopic tubal sterilisation. 7. International Congress of the European Asociation for Endoscopic Surgery. June 23-26, 1999. Linz. AUSTRIA. Kuyumcuoglu U, Uludogan M, Görgen H, Demirci F. Amniotic fluid endotoxin level and fetal breathing movements in preterm labor. XIV World Congress of Gynecology and Obstetrics (FIGO), 24 th -30th September,1994,Montreal. KANADA. Demirci F, Kuyumcuoğlu U, Api M, Uludoğan M. Longitudinal vaginal septum: An unusual cause of postpartum total uterine prolapsus. XIV World Congress of Gynecology and Obstetrics (FIGO), 24 th -30th September, 1994, Montreal, KANADA. Demirci F, Sofuoğlu K, Görgen H, Delikara N. Hyperreactio luteinalis in normal pregnancy: A case report. XIV World Congress of Gynecology and Obstetrics (FIGO), 24 th -30th September, 1994 Montreal, KANADA. Görgen H, Kuyumcuoğlu U, Uludoğan M, Demirci F. The value of umblical artery Doppler velocimetry and fetal heart rate tracing in hypertensive pregnancies. XIV World Congress of Gynecology and Obstetrics (FIGO), 24 th -30th September, 1994 Montreal, KANADA. Api M, Sofuoğlu K, Kuyumcuoğlu U, Demirci F. A hydatiform mole localized in the fallopian tube: A case report. XIV World Congress of Gynecology and Obstetrics (FIGO), 24 th -30th September, 1994 Montreal, KANADA. Gürbüz A, U. Kuyumcuoğlu, V. Dayıcıoğlu, O. Ünal, Demirci F, Sohtorik U. Comparison of protective transcervical endometrial culture techniques in puerperal patients. XII World Congress of Gynaecology and Obstetrics (FIGO), 1991 SİNGAPUR. Kuyumcuoğlu U, Dayıcıoğlu V, Arı B, Kılavuz S, Demirci S. Cervical ripening and induction with prostaglandin E2 intracevical gel. XII World Congress of Gynaecology and Obstetrics (FIGO), 1991 SİNGAPUR. Kuyumcuoğlu U, Attar E, Ünal O, Demirci F. İmmunologic basis of premature ovarian failure: A case related clinical review. VII World Congress on Human Reproduction, June 26- July 1 1990, Helsinki, FİNLANDİYA. Kuyumcuoğlu U, Ünal O, Attar E, Demirci F, Fıçıcıoğlu C. The effect of D.O.P.E on birth weight. VII World Congress on Human Reproduction, June 26- July 1 1990, Helsinki, FİNLANDİYA. Fıçıcıoğlu C, Kuyumcuoğlu U, Ünal O, Kuyumcuoğlu D, Alkan A, Demirci F. Postpartum testing methods for antecedent gestational diabetes. Second International Congress of Gynecological Endocrinology, March 18- 23, 1990, Jerusalem, İSRAİL. Ünal O, Kuyumcuoğlu U, Kılavuz S, Hekim N, Kuyumcuoğlu D, Demirci F. Androgen insensitivity syndrome: Gonadal androgen receptor positive. Second International Congress of Gynecological Endocrinology, March 18- 23, 1990, Jerusalem, İSRAİL.